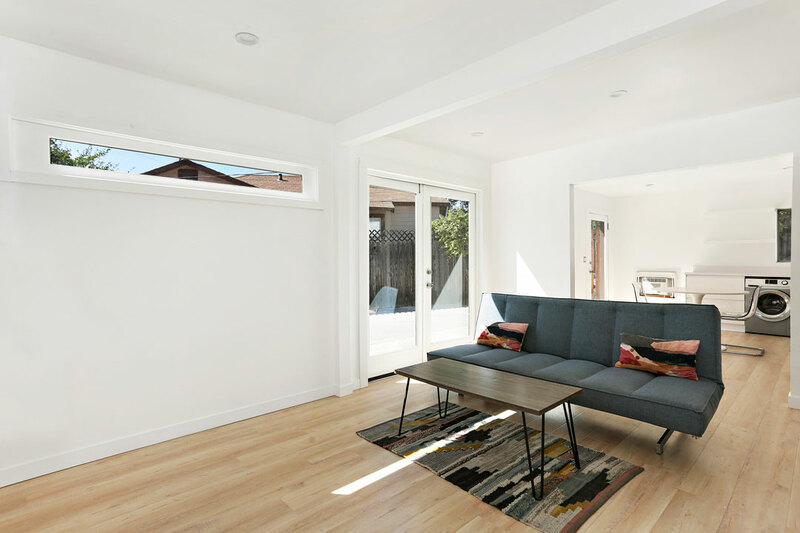 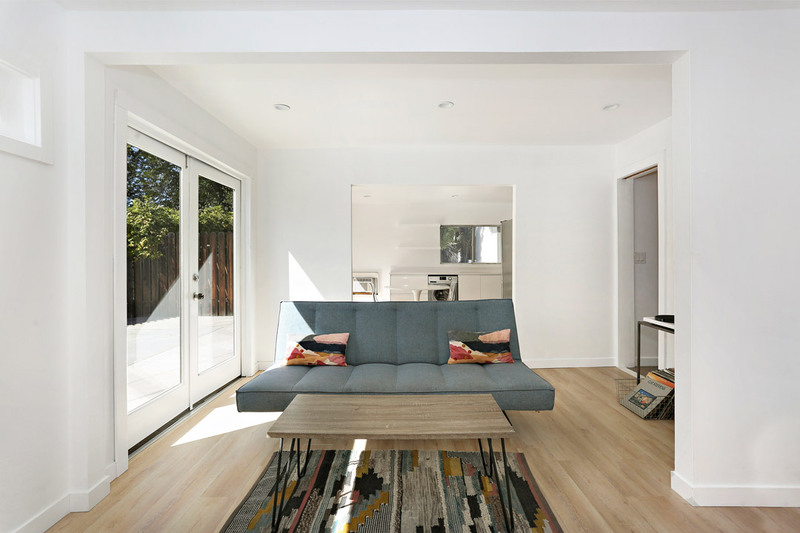 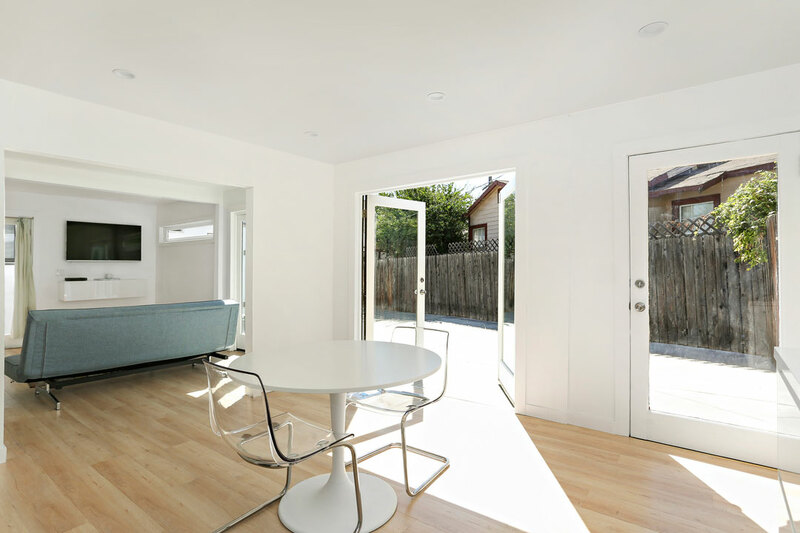 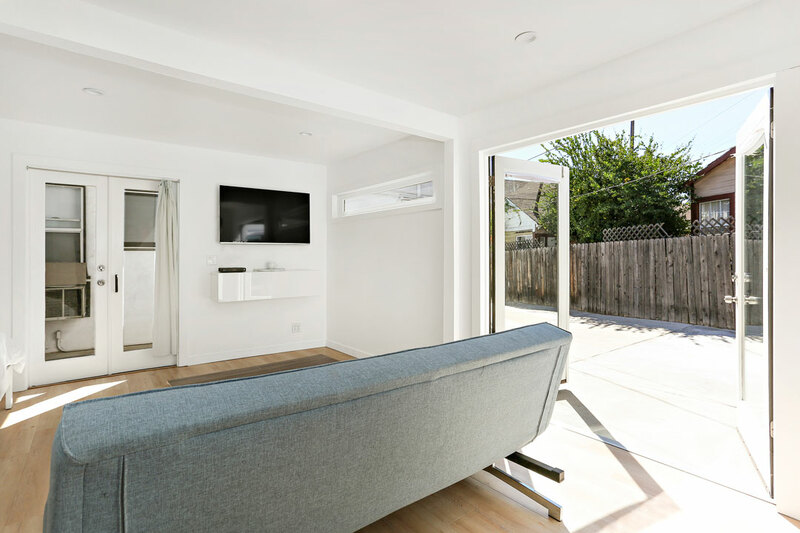 Living Area: 529 Square Ft.
Don’t miss this light-filled and beautifully renovated gem in Highland Park’s serene Garvanza enclave. 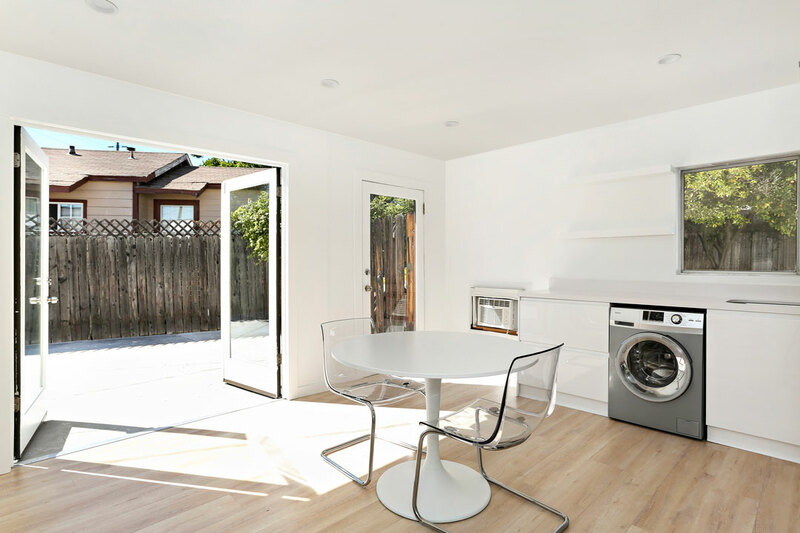 The monthly rent includes ALL utilities, even cable & WIFI. 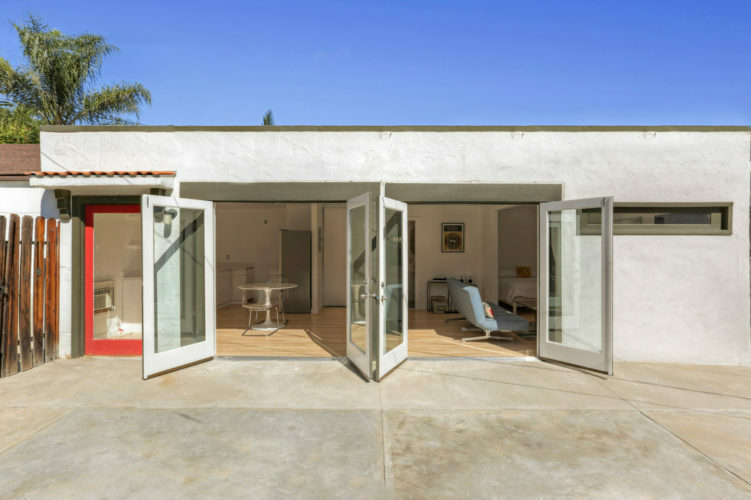 Bright and stylish, the airy modern home has two sets of French doors providing seamless indoor-outdoor flow to a private hardscape patio. 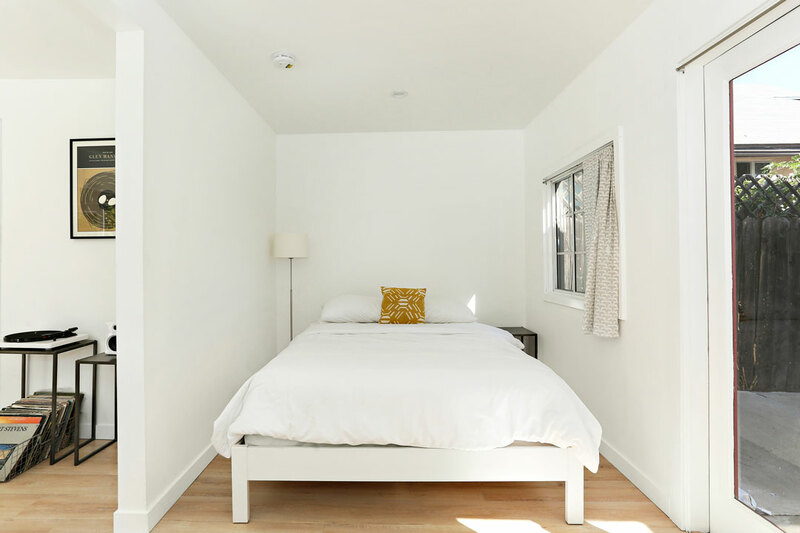 The modular layout gives you the option to create two private spaces by separating the living area from the bedroom; or slide the doors open to enjoy the loft-like ambiance of one open space. 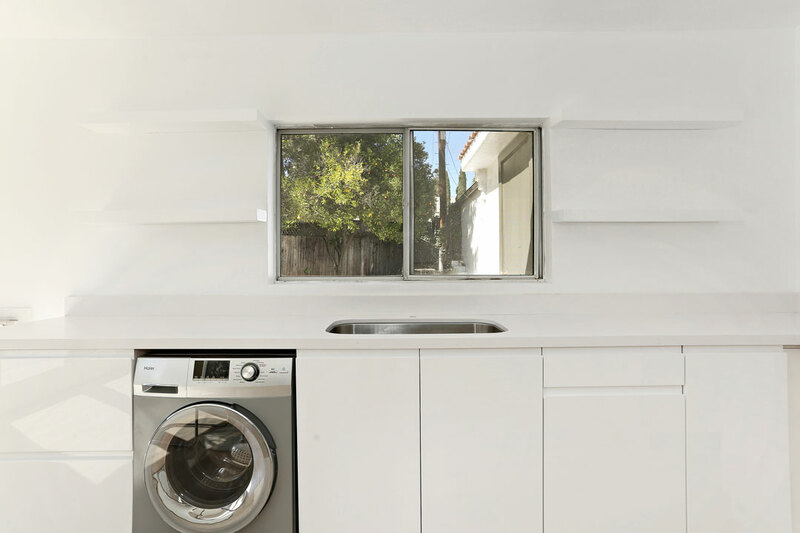 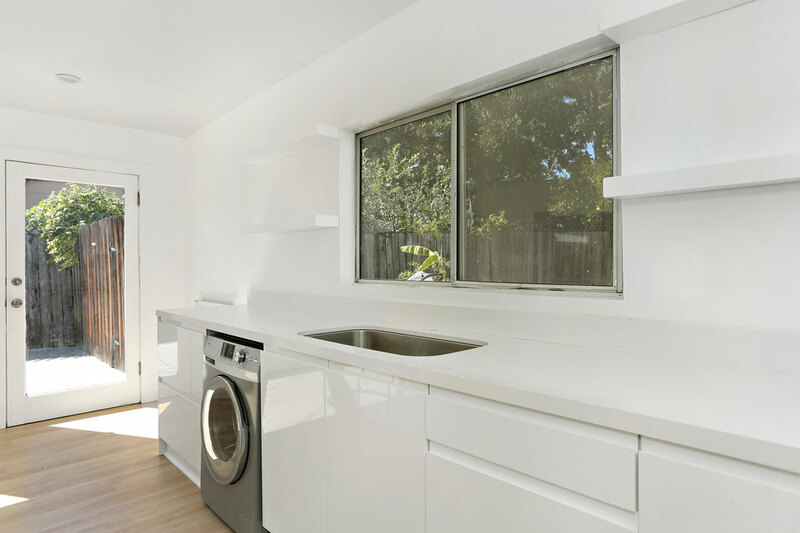 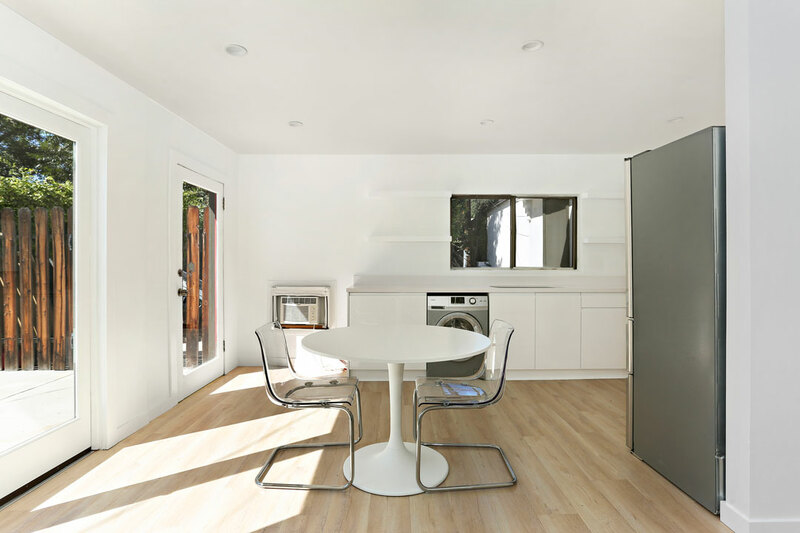 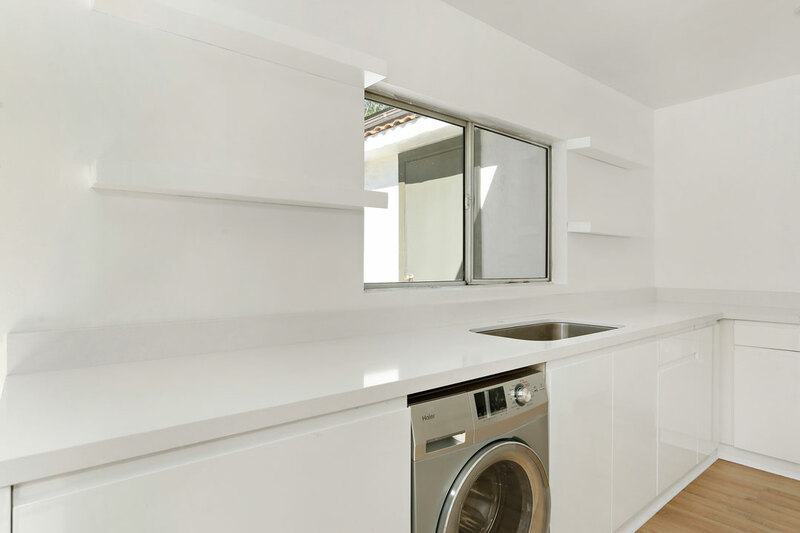 The sunny kitchen is finished with white cabinetry and floating shelves, with new appliances including in-unit washer+dryer. 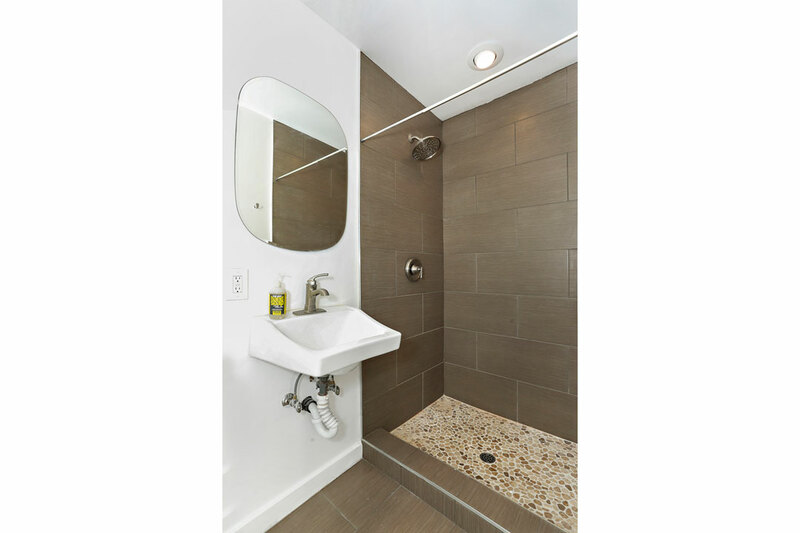 There is custom bathroom tile and a polished pebble shower floor. 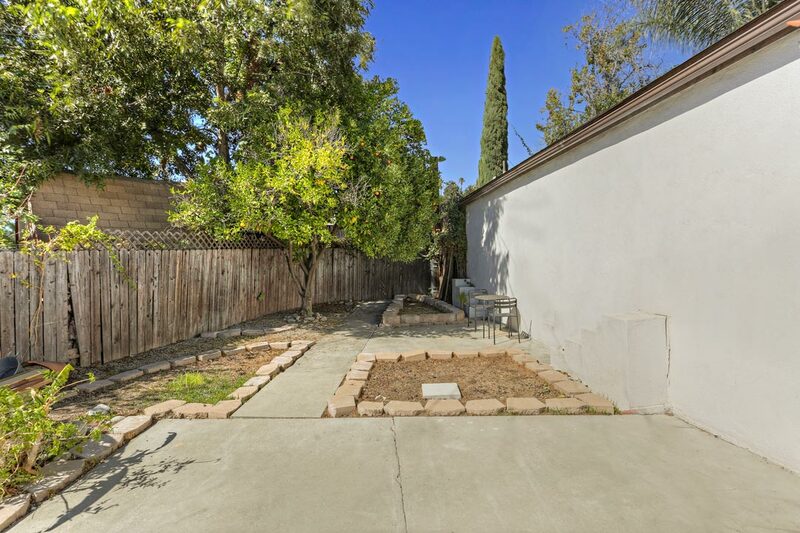 Step out to the private yard to find your perfect spot for morning coffee with plenty of space to relax, barbecue and entertain. 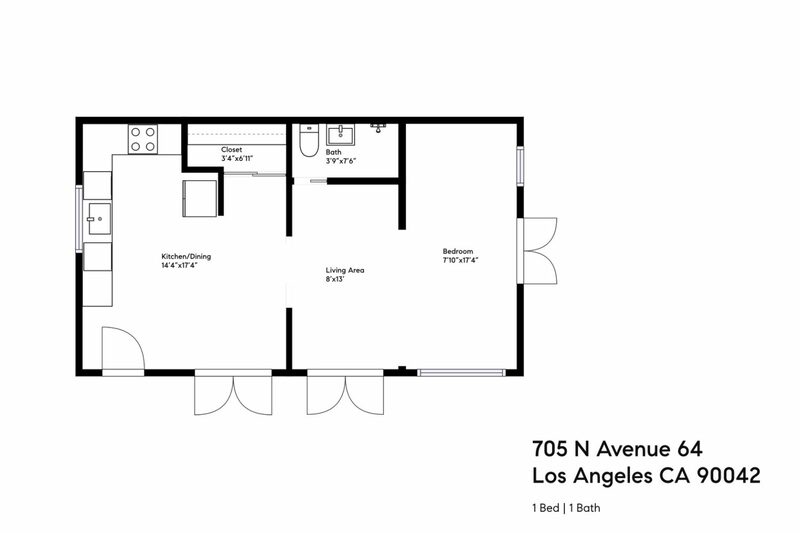 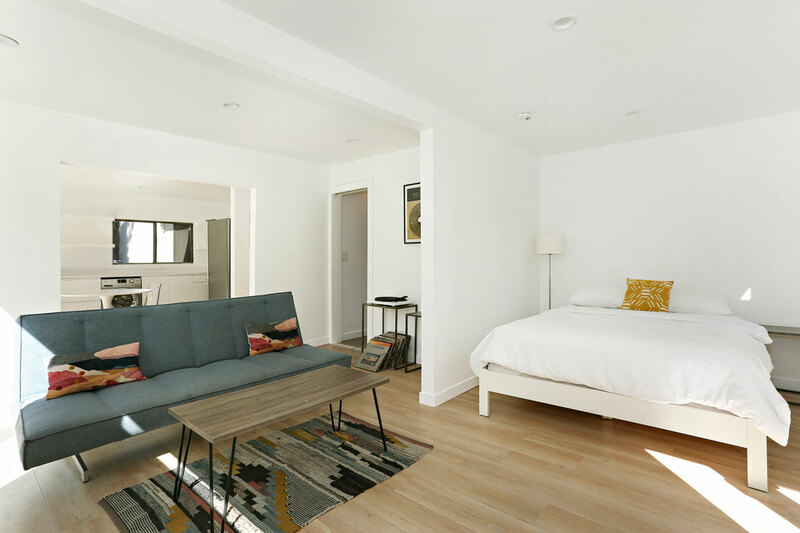 You are blocks away from local favorite Amara Kitchen, with easy access to the offerings along Figueroa & York including Kitchen Mouse, HiPPO, Maximiliano and more.